The Linger Lodge Restaurant and Bar is tucked away and nestled in alongside a branch of the Braden River, off the beaten path, just off I-75 in Bradenton, Florida. It's a fun place with good food, fair prices and a great view. And it was named by TV's the Food Network as one of the five weirdest restaurants in the country. And it is! But, also, this is one of those few remaining places that people here call “Old Florida,” dating back to the mid 40’s when it first began as a campground. Some would call it a “tourist trap.” I wouldn’t. It’s unique and someplace to experience mainly because you don’t find ‘em like this anymore! 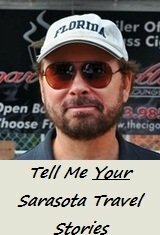 And if you're hungry and looking for a great, scenic view, you can kill two birds with one stone because there's some good food and a terrific view of backwoods, unspoiled old Florida here. 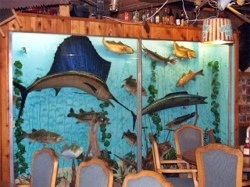 The restaurant and bar depicts, at least, what “old Florida” may have been like at least a couple of decades ago. The Linger Lodge – Florida in the old days. 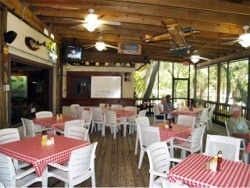 The restaurant houses a main indoor dining room, an indoor bar and two back deck screened in porches which look out on the Braden River, just steps below. This is one of the more scenic sights that’s not on the Gulf of Mexico. The service staff here is friendly and attentive and the food is good. Not to diminish the quality of the food or the staff, but the real “star” of this location is the place itself, along with its view and old time atmosphere. Another nice thing about the back deck, where we sat on a recent visit, is that the tables aren’t crammed in and you’re not sitting on top of the next dining party. That makes it not just casual but comfortable. The food we experienced was very good. Appetizers range from Buffalo Wings and Gator Bites to Onion Rings, Coconut Shrimp and Fried Green Tomatoes which are delicious! There's also homemade soups and salads and a wide enough lunch and dinner menu to include everything from burgers and sandwiches to seafood specialties plus steaks, chicken and pasta. It's just a matter of what you're hungry for and it's most likely that they'll have you covered here at the Linger Lodge along the Braden river. We found the variety was just fine with us. 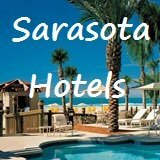 We were expecting exactly what we got: good food, decent prices, attentive service, great scenery and an old time Florida atmosphere. My dining companion loved her extra large house salad with grilled chicken and home made honey mustard salad dressing. My Braden River Burger, a half pound of ground beef, hand pressed and char-grilled, came cooked just the way I liked it and on a Kaiser bun which was fresh, soft and delicious. Prices were average; the burger was $7.99, a couple of draft beers for $6 and the salad for $6.99 plus the grilled chicken added on to the salad order for $5.00. The Seafood part of their menu at the Linger Lodge has features such as Catfish for $10.99, Baked Stuffed Sole, stuffed with crab meat and scallops for $14.99 plus there's Crab Cakes, Grouper, Salmon and more. 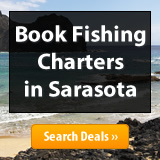 There should be something here for a bona fide seafood lover! Rounding out their menu you'll find NY Strip Steak ($18.99), Barbeque Ribs, Chicken, even Ziti and Lasagna! They boast a fair sized and varied menu, so there should be something here to satisfy your taste and budget. Plus there's a Friday Night Fish Fry you might like to try. 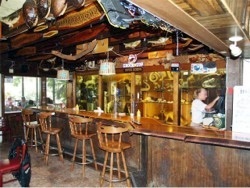 There's a picturesque bar, as well, with display cases (a “dead zoo!”) full of such things as stuffed snakes, a Jackalope, Blue Billed Ortholock and an Alaskan Fur Fish as well as other animals indigenous to Florida. 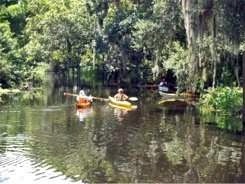 After lunch or dinner you might amble down to the banks of the Braden River outside the restaurant and bar and rent a canoe or kayak for your own little adventure and scenic tour of the surroundings. 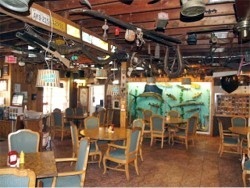 You’ll surely get quite a kick out of this place on your road trip away from Sarasota restaurants. But it's worth the ride from Sarasota. It’s someplace you can bring the kids, or a place you can go on a date. And it’s only a short drive north on I-75 from the Sarasota area. 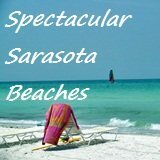 What's your favorite Sarasota dining spot? What's the best meal you've had there? 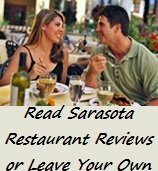 Let others know about your recommendations by writing your own Sarasota Dining Review. 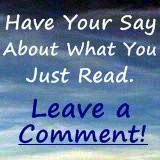 Share your favorite now! Happy Hour is Monday - Friday from 4 p.m. - 7 p.m. and the Linger Lodge features live entertainment on Saturday and Sunday. Hours: Sunday - Thursday: 11 a.m. - 9 p.m, Friday - Saturday: 11 a.m. - 10 p.m. Directions: From the intersection of I-75 and S.R. 70, go west on S.R. 70 to Tara Blvd. (1st red light) Turn south (left) on to Tara Blvd and follow until you come to Linger Lodge Rd. Turn east (left) and follow Linger Lodge Road until you see the directional signs to the restaurant and campground. 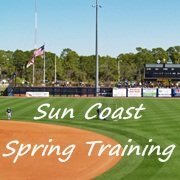 (941) 755-2757. 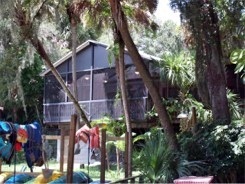 The Linger Lodge is located at 7205 Linger Lodge Road, Bradenton.